Are you searching for outstanding sewing machine repair in the city of Falmouth, MA? If so, then look no further than us! We understand how frustrating it can be trying to make do with a malfunctioning piece of machinery. That’s why our skilled team of technicians is on the job and ready to spring into action. Our team comes backed with years of experience and proven techniques to fix your broken machine with ease. We will not rest until you item is returned to proper working order. For skills that you can count on time and time again, you’ve come to the right place. We are the repair service that satisfied customers choose most. With our track record of success, it’s not hard to see why. When you are searching for a quality sewing machine that won’t fail you, there is none second to a Singer Sewing Machines! 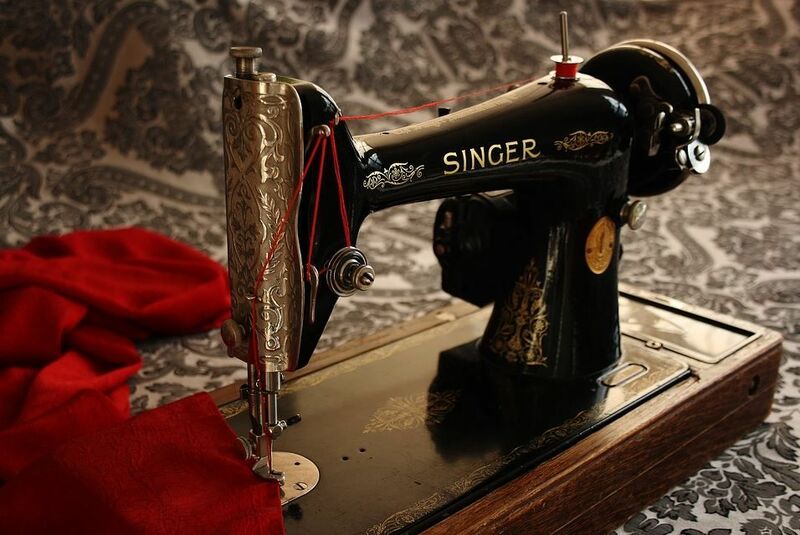 As one of the original sewing machine companies established, Singer has an unmatched history and experience in the industry. Their standard of excellence gives you peace of mind that your sewing machine is made with quality, attention to detail and care! With Singer, your patterns, outfits, blanket and fabric repairs will be completed with a sewing machine that you can rely and trust in, no matter the project! Are you in need of top-notch bobbin repair? Don’t fret. Our team is here for you. We will repair your bobbin in no time at all so you can get back to more important things. No longer will you have to stress trying to address repair problems on your own. With our team on your side, you can rest easy. Our experienced team of technicians will work diligently to ensure that your item is repaired according to industry standards. After fixing your item, you can trust that it will be addressed with skill and attention to detail. We don’t just mask the issue, we fix it from the inside out. So don’t waste your time with other companies. Allow us to be your first choice! Are you in need of top-quality sewing machine services? If so, our team has got you covered. For years, we’ve brought exemplary services to the satisfied residents of Falmouth, MA, and we’ve got no intentions of stopping. Whether you’re in need of a new sewing machine or repairs, we’ll take great care of you. Bringing you machines that you can be proud of is our ongoing mission. Our items provide high functionality and great performance. They are also cost-effective. When you need an item that you can depend on, we’ve got what you need. With our team on the job, your worry will be a thing of the past. For five-star sewing machine sales, it doesn’t get any better than us! Our sewing machines are produced by the best names in the industry. Whether you’re just starting out or you’re a veteran, we’ve got the selections to suit your needs. From styles to colors, you’ll be well taken care of. We understand that you’ve got many options for sewing machine sales in the city. However, our store provides simply the best and our in-store staff is always warm and welcoming. Many other establishments charge and arm and a leg for their products. Here, we are always cost-effective! So go ahead and make the smart choice. We’ll be waiting for you!